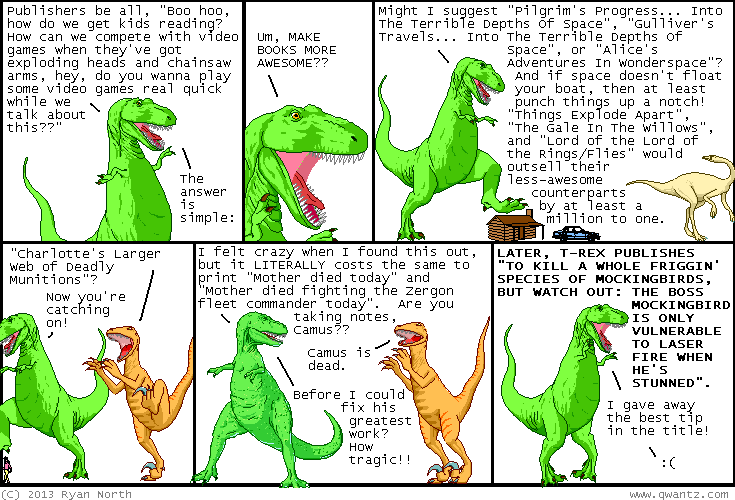 Dinosaur Comics - June 3rd, 2013 - awesome fun times! –"GRITTY REBOOTS OF CHILDREN'S JOKES"
June 3rd, 2013: Panel 1 = SECRETS OF THE PUBLISHING PROFESSION? ?